Jim Dowling is an Associate Broker of Stirling Properties specializing in brokerage, leasing, and development of all types of land. He also specializes in commercial, industrial, and investment properties located throughout Louisiana including retail, office, medical, warehouse and manufacturing properties, urban land, rural farms, acreage, and timberland. Jim has extensive experience in site searches; evaluations and acquisitions; land assemblage; feasibility studies; property valuations; highest and best use determinations; rezoning; land development; build-to-suit; and real estate investment acquisitions. Jim has been a licensed real estate broker since 1974. 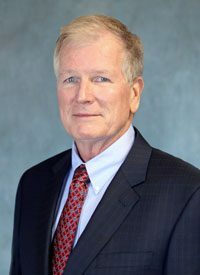 Prior to joining Stirling Properties in 2016, he served as president of J. Wesley Dowling & Associates, Inc. Realtors, and Coldwell Banker Dowling Beauvais & Associates, Inc., Realtors. Mr. Dowling is a member of the Society of Industrial and Office Realtors (SIOR); past president of the LA/MS/AL/NWFL chapter of SIOR; graduate of the Louisiana Real Estate Institute (GRI); member of National Association of Realtors (NAR); member of Northwest Louisiana Association of Realtors and member of Louisiana Commercial Database (LACDB). Mr. Dowling attended Louisiana Tech University in Ruston, LA and is a graduate of Louisiana State University in Baton Rouge, LA.